Madden vs. Midland Funding, LLC: What does it mean for Alternative Small Business Lending? On Friday, May 22, 2015, while the rest of us were gearing up for the long Memorial Day weekend, three judges of the United States Court of Appeals for the Second Circuit quietly issued their decision in Madden v. Midland Funding, LLC. Though issued to little fanfare, the decision, if upheld on appeal—may lead to significant changes in consumer and commercial lending by non-bank entities. Loans that were previously only subject to the usury laws of a single state may now be subject to more restrictive usury laws of multiple jurisdictions. Commercial transactions that could be affected include short-term loans by a number of alternative small business lenders. The plaintiff, Saliha Madden, opened a credit card account with a national bank in 2005. Three years later, Madden’s account was charged off with an outstanding balance. The account was later sold to Midland Funding, LLC, a debt purchaser. In November 2010, Midland sent a collection letter to Madden’s New York residence informing her that interest was still accruing on her account at the rate of 27% per year. In response, Madden filed a class action lawsuit against Midland and its servicer. In her complaint, Madden alleged that Midland had violated state and federal laws by attempting to collect a rate of interest that exceeded the maximum rate set by New York State’s usury laws. Midland countered that as a national bank assignee, it was entitled to the preemption of state usury laws granted to national banks by the National Bank Act (the “NBA”). The district court agreed with Midland and entered judgment in its favor. Madden appealed to the Second Circuit. The court explained that the NBA’s preemption protections only apply to non-bank entities performing tasks on a bank’s behalf (e.g. bank subsidiaries, third-party tax preparers). If a bank assignee is not performing a task on a national bank’s behalf, the NBA does not protect the assignee from otherwise applicable state usury laws. Therefore, as Midland’s collection efforts were performed on its own behalf and not on behalf of the national bank that originated Madden’s account, the appellate court found that New York’s usury laws were not preempted and that Midland could be subject to New York’s usury restrictions. The Madden decision undermines a method of state usury law compliance that I’ll refer to as the “exportation model”. In a typical exportation arrangement, a non-bank lender contracts with a national bank to originate loans that the lender has previously underwritten and approved. After a deal has been funded, the bank sells the loan back to the lender for the principal amount of the loan, plus a fee for originating the deal. 1F.3d —, 2015 U.S. App. LEXIS 8483 (2d Cir. N.Y. May 22, 2015). The exportation model allows non-bank lenders to benefit from the preemption protections granted to banks under the NBA. Specifically, the NBA provides that a national bank is only subject to the laws of its home state. This provision allows a bank to ‘export’ the generally less restrictive usury laws of its home state to other states where it does business. As bank assignees, lenders that have purchased loans from a bank are only subject to the laws of the originating bank’s home state. This exemption saves these non-bank lenders from having to engage in a state-by-state analysis of applicable usury laws. While the Court of Appeals’ decision foreclosed Midland’s preemption argument, other issues remained unresolved. Specifically, the circuit court did not decide whether the choice-of-law provision in Madden’s cardholder agreement—which provided that any disputes relating to the agreement would be governed by the laws of Delaware—would prevent Madden from alleging violations of New York State usury law. In the district court proceeding, both parties had agreed that if Delaware law was found to apply, the 27% interest rate would be permissible under that state’s usury laws. The district court, however, did not address the choice-of-law issue because the court had found that the NBA’s preemption protections were sufficient grounds upon which to resolve the case. As the issue had not been addressed, the circuit court remanded the case back to the district court to decide which state’s law controlled. But before sending the case back down, the appellate court made two points worth noting. First, the court stated that “[w]e express no opinion as to whether Delaware law, which permits a ‘bank’ to charge any interest rate allowable by contract…would apply to the defendants, both of which are non-bank entities.” The court’s statement suggests that it may not have completely agreed with the parties that 27% would be a permissible interest rate under Delaware law. Second, the court highlighted a split in New York case law on the enforceability of choice-of-law provisions where claims of usury are involved. Generally, courts will refuse to enforce a choice-of-law provision if the application of the chosen state’s law would violate a public policy of the forum state. As usury is sometimes considered an issue of public policy, the enforceability of such clauses is commonly a point of contention in usury actions. The cases cited by the Court of Appeals show that some courts in New York have enforced choice-of-law provisions—even where the interest rate permitted by the chosen state would violate New York’s usury laws—while other New York courts have refused to enforce such provisions in light of public policy concerns. New York, however, is by no means the only state with usury laws that are less than straightforward. The general complexity of state usury laws is evidenced by the circuit court’s hesitation to agree with Madden’s concession that a 27% interest rate would be permissible under Delaware law. The court made clear that an argument could be made that the rate was usurious under both New York and Delaware law. An important legal principle that was not addressed in either the district or circuit court proceedings is the ‘valid when made’ doctrine of assignment law. The ‘valid when made’ doctrine provides that a loan that is valid at the time it is made will remain valid even if the loan is subsequently assigned. This doctrine may have led to a different outcome in the case had Midland argued it before the district or circuit court. Midland is now appealing the Second Circuit’s decisions and many expect a ‘valid when made’ argument to be a primary point of Midland’s appeal (SEE NOTE BELOW). If this argument is successful, the practical impact of Madden would be greatly diminished. NOTE: The Second District Court rejected a request to rehear the case. Read that decision here. In the meantime, the Madden decision will likely increase the importance of choice-of-law analysis in relation to usury law. Assignees that previously relied on the NBA’s preemption provision as a method of state usury law compliance will now need to address the enforceability of their contractual choice-of-law clauses where claims of usury may become an issue. This analysis is often a complex undertaking because states take varying views of what constitutes usury as well as whether or not usury is an issue of public policy. 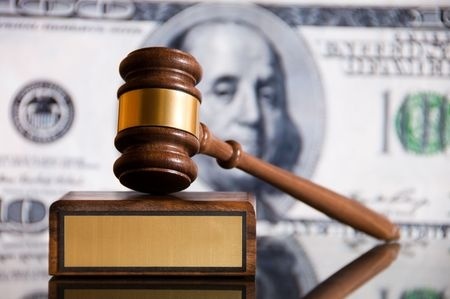 While the Madden decision may have been published before the long Memorial Day weekend, analyzing its consequences will likely keep many non-bank lenders (and their attorneys) busy, even on their days off. Home › Legal Briefs › Madden vs. Midland Funding, LLC: What does it mean for Alternative Small Business Lending?